Okossi, Chinnappan Bring Unparalleled Technical, Theoretical Experience to Media Mix Modeling. The more accurate our customer’s attribution models are, the more accurate their decisions will be about what works and what does not, which leads to greater profitability. Following directly on the heels of the release of the Forrester Consulting study that showcased a 605% ROI for companies using ClearSaleing's software, advertising analytics leader ClearSaleing announced this week the addition of two new team members, both experts in the technical and theoretical aspects of attribution management. ClearSaleing is expanding the company's already growing attribution management practice by naming Alphonse Okossi as the company's Technical Director of Media Mix Modeling and Data Analytics, and Thiyag Chinnappan as its Director, Media Mix Modeling and Data Analytics. "Customers often come to us with attribution questions based on their own complex marketing spend," said Adam Goldberg, co-founder and Chief Innovation Officer at ClearSaleing. "They want to know answers to questions like, 'How much credit should I attribute to impressions in a Purchase Path vs. a click?' and 'How should I allocate my budget across the different marketing channels available to me?' With the growth in ClearSaleing's Media Mix Modeling and Data Analytics practice, we will be better able to provide customers with specific statistically-sound solutions and attribution models that will allow them to more accurately assign purchase credit, identify profitable Purchase Paths, and eliminate underperforming ads or ad types. The more accurate our customer’s attribution models are, the more accurate their decisions will be about what works and what does not, which leads to greater profitability." "We're delighted to welcome Alphonse and Thiyag to the ClearSaleing team," Goldberg continued, "and know that our customers will directly benefit from the insights and experience they bring." Alphonse Okossi, ClearSaleing's new Technical Director of Media Mix Modeling and Data Analytics, will spearhead the company's technical efforts in developing and implementing creative statistical methods to solve offline/online media mix and attribution-related issues. Okossi's career path highlights more than 15 years of experience in marketing analytics, data mining, predictive modeling, risk management, forecasting and optimization. His most recent role prior to joining ClearSaleing was as Managing Partner of Planning Constructs, Inc., where he led development of the company's marketing mix and price promotion modeling platform, including managing the programming team and designing demand forecasting and simulation web tool. Prior to Planning Constructs, Okossi was the Analytical Product Development Manager for Information Resources, Inc., where he lead and conducted hands-on statistical modeling and related software application projects for price promotion, marketing mix, assortment, seasonality, incrementality and related forecasting/simulation web tools development. Prior to this position, Okossi held various high-level analytics consulting positions, providing web-enabled statistical analyses for clients, including Wells Fargo and JC Penney. 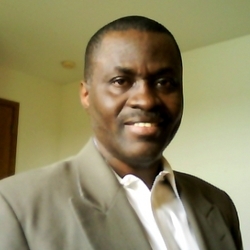 Okossi, whose career started in the finance industry, holds a Ph.D. in Economics and an MA in International Finance and Trade from State University of New York at Albany. In his role as Director of Media Mix Modeling and Data Analytics, Thiyag Chinnappan will be responsible for leading the company's practice and product strategy related to advanced data analytics. Chinnappan's work experience is rich in analytics and media mix modeling. Prior to joining ClearSaleing, Chinnappan served as client manager in the analytics consulting division of The Nielsen Company where he developed and managed marketing and media mix activities for Kraft Canada, among other clients. Before his work with Nielsen, Chinnappan was a project manager in marketplace analytics for HAVI Global Solutions, where he provided tactical data analysis and campaign launch insights for clients including McDonalds. Chinnappan, who holds an MBA from the University of Chicago's Booth School of Business, also holds a diploma in Project Management from Northwestern University. With the addition of Okossi and Chinnappan, ClearSaleing plans to add a host of new offerings to its service roster, including improving existing attribution performance using profit weighting from Media Mix models, performing custom online/offline media mix analyses, simulating and predicting future sales using demand forecast functionality, and conducting custom analytics studies using advanced econometric techniques. Additionally, ClearSaleing will also develop custom Analytics Dashboards to allow clients immediate access to data and insights on specific online purchase behavior and target customers. ClearSaleing also recently announced the release of a Forrester Consulting study detailing the value that ClearSaleing provides to its clients. The study, titled "The Total Economic Impact™ of ClearSaleing", indicates a 605 percent adjusted return-on-investment for companies engaging in ClearSaleing’s attribution management offering, along with additional benefits of time savings, eliminating waste and more. Forrester conducted interviews with four ClearSaleing clients and found that, by using ClearSaleing, these companies experienced a net present value of more than $2.3 million, in addition to improving efficiencies in decision making and media buying and increasing productivity in automation and reporting. The full study is available for free on the ClearSaleing site.